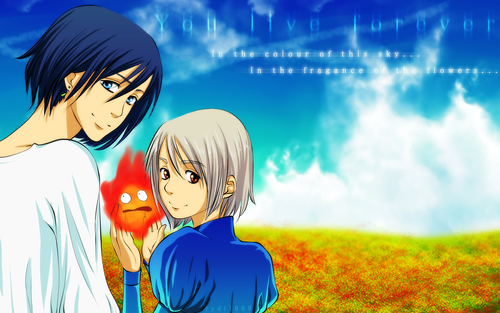 Howl's Moving castelo wallpaper. Howl's Moving castelo. 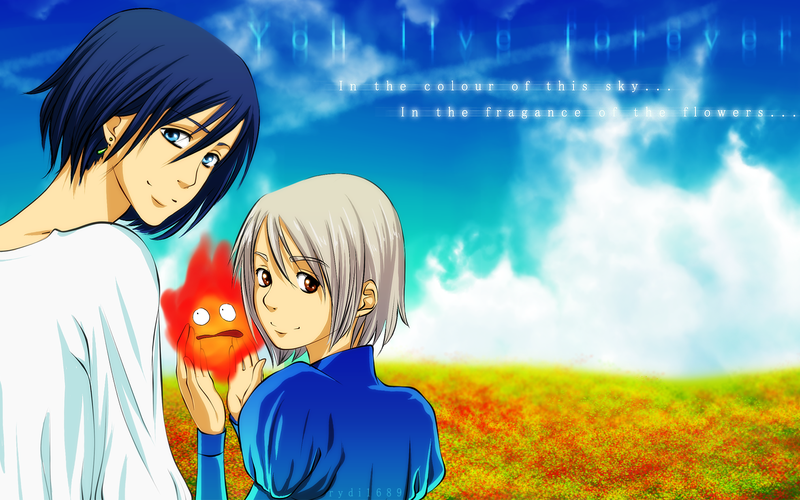 HD Wallpaper and background images in the Studio Ghibli club tagged: photo howl's moving castle howl sophie hayao miyazaki studio ghibli 2004 animated film. This Studio Ghibli wallpaper might contain anime, banda desenhada, manga, desenhos animados, mangá, and quadrinhos.